Bolon takes pride in offering long lasting products with an endless life cycle. Bolon uses the ‘waste’ generated from production as well as minimising pre-consumer waste from suppliers and other best practice PVC producers. We take a look at the recycling, manufacturing and raw material selection process to shine a spotlight on Bolon’s innovative approach to sustainability. 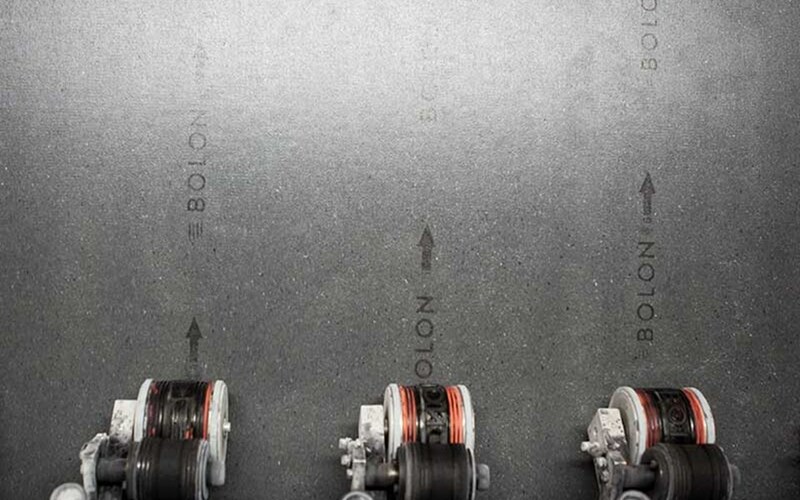 In 2014, Bolon invested in a new recycling plant, ‘the Agglomerator’. The plant recycles Bolon waste, as well as flooring installed with Bolon NoGlue®. It also recycles waste from suppliers and other best-practice PVC producers. 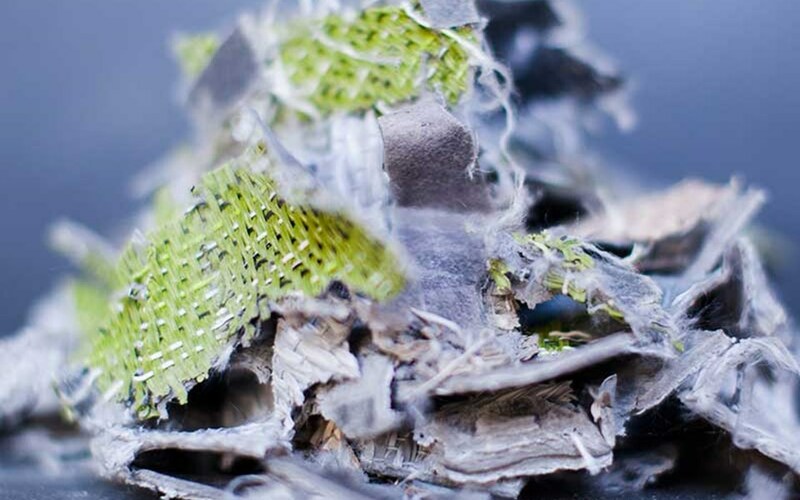 The recycled material makes the backing for Bolon flooring which currently makes up 33% of the product. 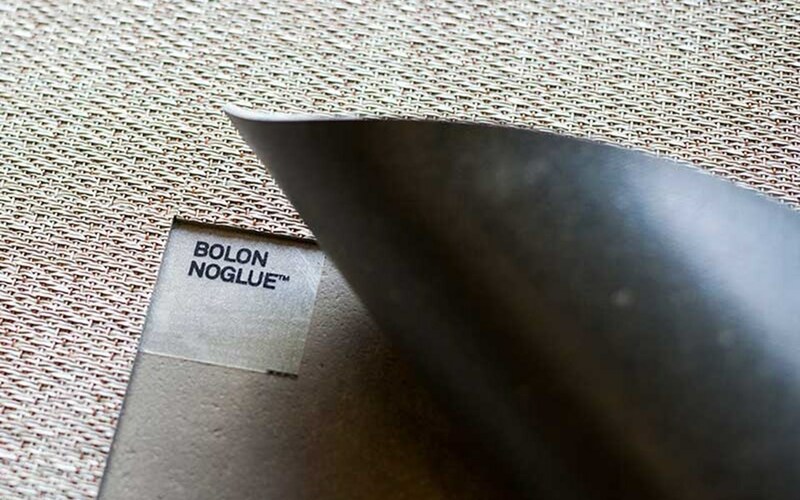 When using Bolon NoGlue™ tape to install flooring, the product can easily be removed and sent back to Bolon for recycling. When Bolon receives pre-used flooring, it’s cleaned and sent to a machine that shreds the flooring into smaller pieces. The shredded parts are then granulated or chopped into smaller pieces. 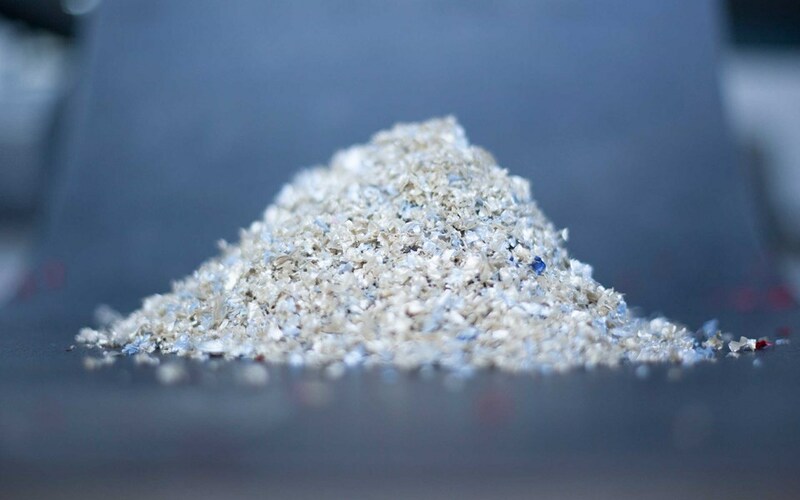 The small pieces are processed through Bolon’s recycling machine called the ‘Agglomerator’ where the different waste material is mixed with chalk. The final step of the recycling process is combining the recycled material into the backing of the flooring. And there you have it! A new floor that has up to 33% recycled material – and in the short future, at least 50%. Bolon carefully and meticulously selects raw materials from approved suppliers to ensure the highest quality and adherence to guidelines in line with their sustainability initiatives. Bolon’s manufacturing process is carried out in their production site in Ulricehamn, Sweden. The production uses 100% renewable energy. Bolon’s design philosophy is all about quality. Therefore, all floors hold a 32 or 33 durability classification with a 10 or 15 year warranty. 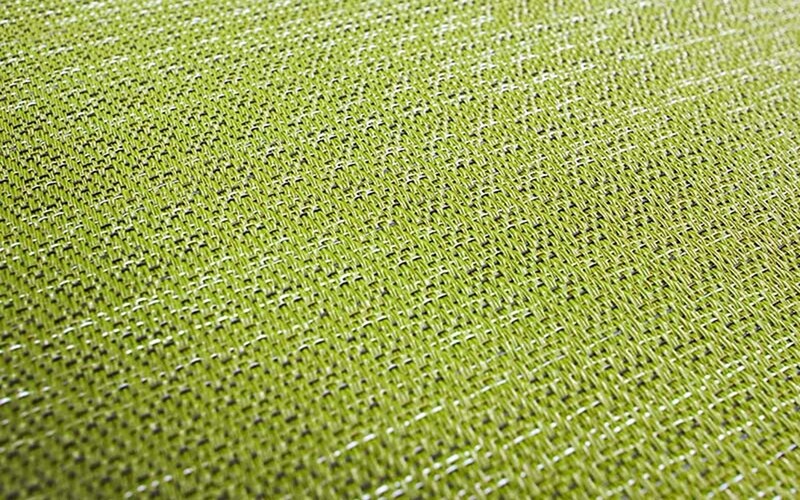 Bolon flooring contains up to 33% recycled material (soon to be 50%).